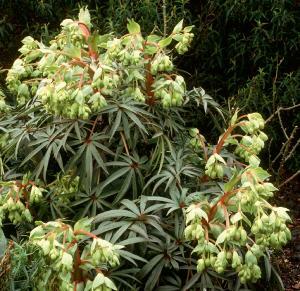 Helleborus foetidus ‘Wester Flisk Group’ is highly valued for its winter effect in the garden. 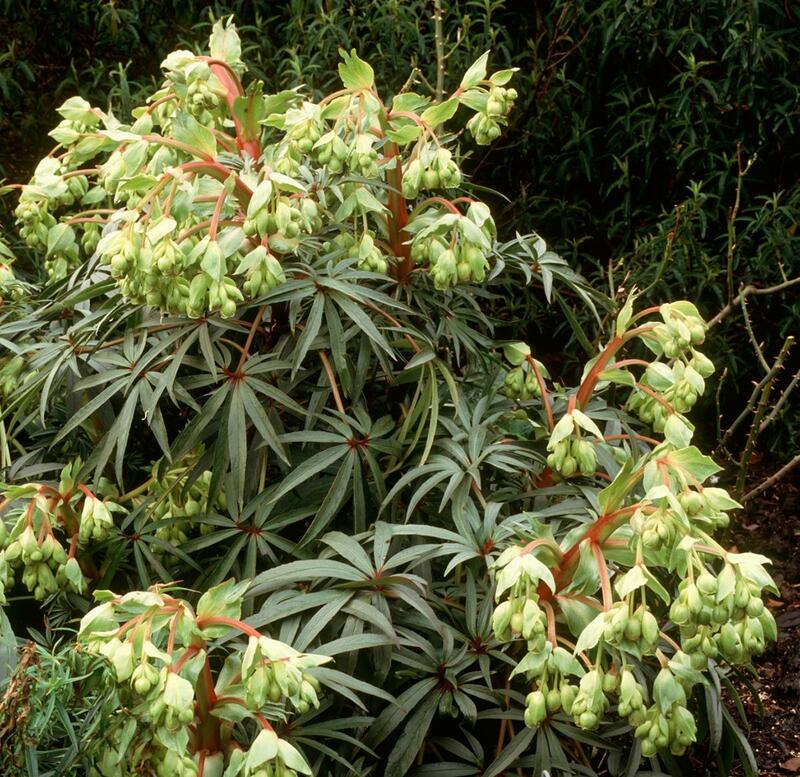 This strain selected from our native ‘Stinking Hellebore’ forms a decorative evergreen clump of deeply cut leathery glaucous green foliage on red stems, bearing upright sprays of nodding, cup shaped greenish flowers, each edged with reddish purple. 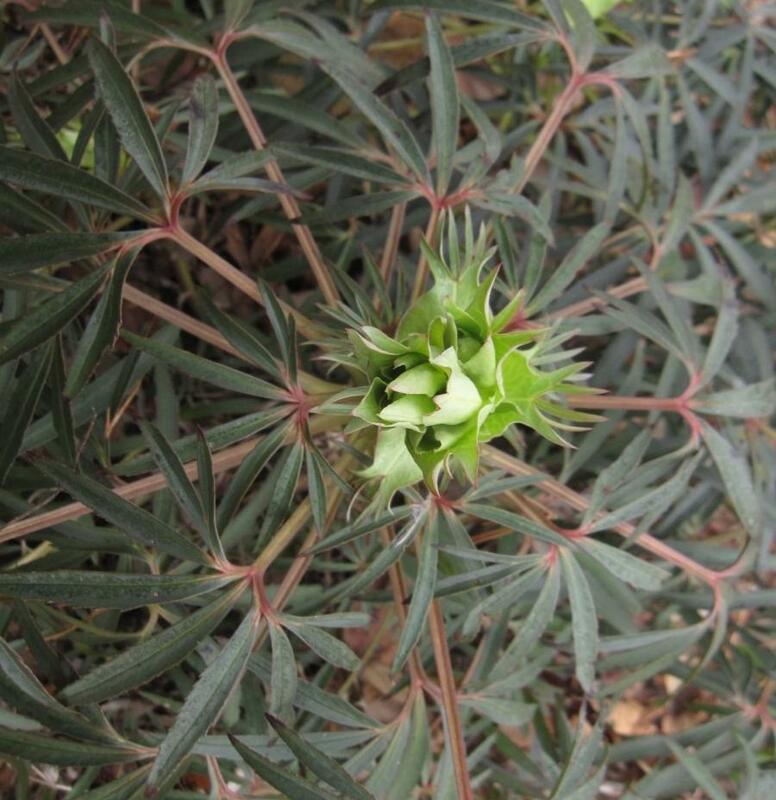 Flowers appear in late winter and very early spring. Although the flowers of Helleborus foetidus Wester Flisk are less showy than its sister species, gardeners will really value the quite unique and architectural foliage of this gem, especially in winter. Helleborus foetidus Wester Flisk grows to 60cm in flower.